We are excited to announce another Hareline Dubbin fly tying contest! 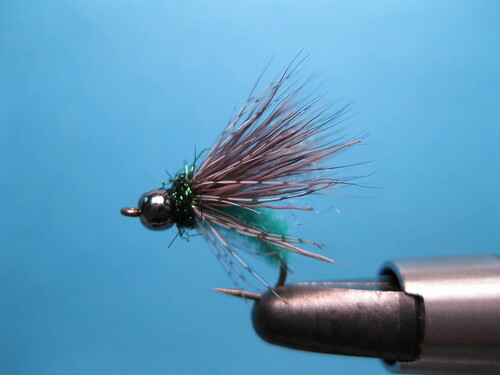 This time the pattern is the Green McKenzie Caddis. Send us your best Arctopsyche grandis imitation and you’ll have a chance to win some great prizes. 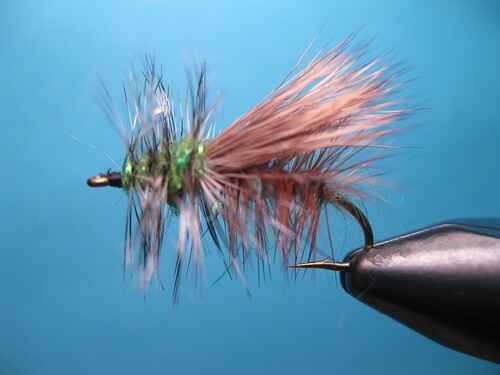 Dries, nymphs or wet flies — send your bugs to the Caddis Fly Shop by May 15th to be eligible. Drop off or mail two finished flies at The Caddis Fly Shop, along with paperwork that includes the fly pattern name, material list, your name and address, and either email or phone number for contact. You will not get the flies back — one will go to Hareline and one will go to the shop. Bob Borden and the folks from Hareline Dubbin will be judge of the fly patterns. Your flies will be featured on the blog. This entry was posted in Fly Fishing Contests, Fly Tying. Bookmark the permalink. Now that they have a contest with the chance to let your mind go, what would be really cool would be for people to get enough energy so they submit flies in all three primary stages. That would be really neat. A lot of work, but neat. Not talented enough myself, but I think it would make a real lively contest.